Air Conditioning. It blows cold so whats the big deal? In a recent seminar hosted by our friends at Napa and produced by factory representatives, the trainor refreshed an interesting factoid that I had nearly forgotten about. In the sweltering heat (and this year’s humidity) of our Colorado summers we know well when our vehicle’s air conditioner is blowing cold air and know immediately when it is not. However, an air conditioner that still blows cold air, several years following service, is likely to be running on a capacity of freon that is 10-20% under-full. As long as it blows cold, who cares? Well, given the statistic, you should! An automotive air conditioning system is comprised of a pressurized freon that constantly changes phases from liquid to gas and back again. The thermal energy phenomenon that takes place near and at the phase-change thresholds is converted into cold comfort for your commuting pleasure. While these phase changes still take place on a system that is low on freon, the compressor that circulates the freon throughout the process is relying on that freon to carry its oil with it. When a system is low on freon, the compressor is low on oil and starts to feel like you would if the AC wasn’t working; overheated and easily worn out. A nice lady recently told me on the phone, “the last mechanic I spoke with told me that after he fixes my AC, it should last for six years”. I suppose what he could have been referring to is a service approach in which compressor replacement for $800-$1800 performed every six years and amortized out over 6 years would only cost you up to $300 per year. Now, if this “drive ‘er til she breaks” methodology works for your pocketbook then we’re on board. However, if you think, like me, that $300 per year is a bit hot for an annual budget to keep cool then lets bring it back down to earth with a $89.95 annual service. 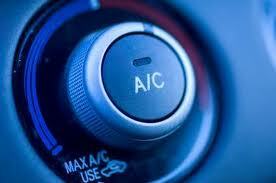 That way, we can expect our AC system to last as long as we keep the car (typically 10-15 years). “$1800!! !” you ask, “why are compressors so darn expensive”? Well when compressors go south, they tend to distribute their guts throughout the entire system, plugging filters and setting boobie-traps for the new compressor. The only way to give the new compressor a fighting chance at a happy life is to clean out and replace the components affected. One more clarification before I let you go… When we all do our weekend bargain shopping to optimize our budgets, its important to note that the “top-offs” that you see offered by the JiffyMonkey-Lube’N’Tune chains aren’t actual AC system services. A proper AC system service is comprised of a complete evacuation and recharge of your air conditioner’s freon and oil as well as an addition of a leak detection dye so that simple visual leak inspections can be performed regularly. Anything short of that and you’re buying into the $300 per year budget model with zero down an an unexpected 100% balloon payment somewhere around year 4-6. So remember, 1 service, every 1-2 years, and you’re cool! 90 degree days! Its hot out already!